God said: “Normal humanity includes these aspects: insight, sense, conscience, and character. If you can achieve normality in each of these respects, your humanity is up to standard. You should have the likeness of a normal human being and behave like a believer in God. You don’t have to achieve great heights or engage in diplomacy. You just have to be a normal human being, with a normal person’s sense, be able to see through things, and at least look like a normal human being. That will be enough” (“Improving Caliber Is for Receiving God’s Salvation” in The Word Appears in the Flesh). In the past, my understanding was that as long as one did not fight or quarrel with others and could live harmoniously with others, one was living out a normal humanity. Today, when I contemplate this passage of God’s word, suddenly I understand that when God is talking about normal humanity, it does not merely involve being conscientious and sensible when getting along with others. The key is being considerate of God’s will while one is fulfilling one’s duties, seeking to love and satisfy God and fulfill the responsibilities of one of God’s creations. When I compare God’s words with my own actions and deeds, I can see that I am quite far from fulfilling God’s demands. Many times, on the surface, I am fulfilling duties. However, when I encounter practical problems, I am not considerate of God’s will and I do not have a heart that loves God. Instead, I am very prudent in protecting my own interests and reputation. After many instances of God’s judgment and chastisement, my conscience has gradually started to perceive. I started to focus on practicing the truth to satisfy God during the daily fulfillment of my duties, thereby living out a bit of normal humanity. Some time ago, it was mentioned in a sermon how David dedicated his entire life to constructing a temple for Jehovah God. After hearing this, I was very moved and I admired David’s humanity and the way he lived it. I became determined to be considerate of God’s will and to fulfill my own duties properly in order to satisfy God. However, my satanic nature is very deeply rooted. If something involves my own interests or reputation, I cannot help but choose the benefits of the flesh. As a result, I am unable to put the truth into practice in order to satisfy God. Living out a normal humanity has become my desire. God is faithful. He placed me in a suitable environment in accordance with my shortcomings so that I could be cleansed and so that He could change me. One morning, during our spiritual devotion, Sister Zhang complained to me, “Recently, I have encountered problems while fulfilling my duties. The suggestions that I have given have also not been accepted. I feel that I am unable to fulfill this duty. It is too difficult….” After I heard what Sister Zhang had to say, I felt blame in my heart. As I had given Sister Zhang the most suggestions on her work, I was worried that she was under my influence. However, if I neglected to offer suggestions when I saw issues, that was not protecting the church’s work! I should offer my suggestions. If Sister Zhang did not accept them, that was her problem. At that time, I thought about it a little and then went on with my day. However, after a bit of time, I thought back to this matter and I started to have some more anxiety about it. I thought, “If Sister Zhang is affected by me, and says that my humanity is not good, how would others see me? How would I interact with them? Later on, if I discover any other problems, I may as well not make a big deal out of it so that I do not offend Sister Zhang.” However, this was my duty and if I discovered issues and did not bring them up, I was going through the motions, deceiving God and not protecting the church’s interests. I could not turn a blind eye and protect my fleshly relationships with other people! But…. I thought about this matter over and over. If I did not put the truth into practice, I was afraid that I would be resisting God. If I put the truth into practice, I would be offending Sister Zhang. I felt very confused. One day, it was just before noon when, after Sister Zhang finished her work, Sister Li and I were inspecting to see if there were any issues. At this time, Sister Zhang anxiously said, “Hurry up and look. This work must be finished soon!” After repeating these words several times, Sister Zhang said to me, “Oh, sister. Is there yet another task? 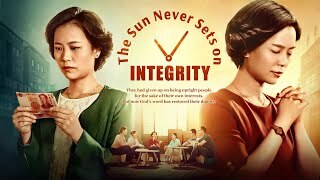 If you are busy, just let Sister Li inspect it by herself.” When I heard Sister Zhang say this, I felt that she was afraid that I would point out some more issues and she was deliberately trying to prevent me from inspecting her work. I thought, “If Sister Zhang does not want me to inspect her work, that is fine then! Why should I waste my time?” I embarrassingly returned to my own seat. However, my heart was not at peace. At this time, I thought about God’s words: “No one is responsible, everyone wants to wash their hands of it. No one wants to take responsibility, no one wants to put effort into it, and no one wants to lead the charge or suffer for it. So can the Holy Spirit do His work? (No)” (Records of Christ’s Talks). As I thought about God’s words, I felt that I was to blame. I felt that I was someone who wants to wash their hands of it that God was talking about. I shouldered no burden and was irresponsible in regard to the fulfillment of my duties. If I simply went through the motions in regard to the fulfillment of my duties, this would cause problems to arise in the project, it would delay the life entry of many brothers and sisters and it would affect the church’s operations. Why was I not prioritizing my work appropriately? Why was I not being considerate of God’s will? I had been consistently and frequently thinking about myself. I was truly selfish and despicable! At that moment, I wanted to go over to Sister Li and continue inspecting the work with her. 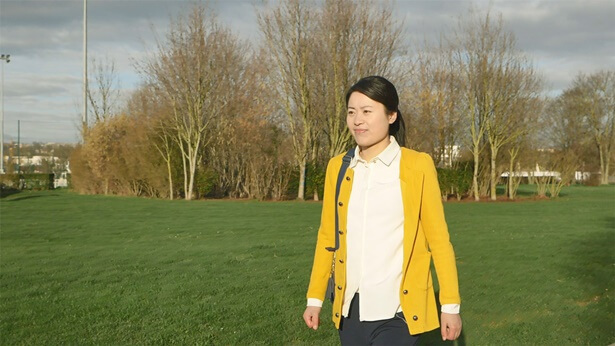 However, when I thought about that day during our spiritual devotion when Sister Zhang told me how she was having difficulties with fulfilling her duties, I had misgivings. If I found more problems once again, should I mention them or not? If I mentioned them, would this cause Sister Zhang to become unhappy and think that I was specifically going after her shortcomings? I felt extremely anxious and unsure of what to do. At this time, I thought about another passage of God’s words: “All have said that they would be considerate of God’s burden and defend the testimony of the church. Who has really been considerate of God’s burden? Ask yourself: Are you someone who has shown consideration for God’s burden? Can you practice righteousness for God? Can you stand up and speak for Me?” (Utterances and Testimonies of Christ in the Beginning). God’s words gave me the courage I needed to put the truth into practice. I took the initiative and went over to finish the inspection with my fellow sisters. After a while, Sister Zhang anxiously said, “Hurry and look. If there are issues, we may deal with them as soon as possible. This work has already been delayed for a couple of days!” Originally, I had wanted to mention the issues that I had spotted but once again, the courage that I was able to summon with such difficulty began to sway. During this moment of hesitation, Sister Li said, “Even though we have a strict deadline, we must not simply go through the motions! We must examine carefully and conduct a thorough inspection!” In the afternoon, Sister Li had something else to deal with so she had me conduct the inspection by myself. At this moment, I was in a very anxious state of mind and I thought, “If I find problems and I do not mention them, I am not protecting the church’s work. If I mention them, Sister Zhang would feel constrained. Alas! Once again, I am in the same situation. 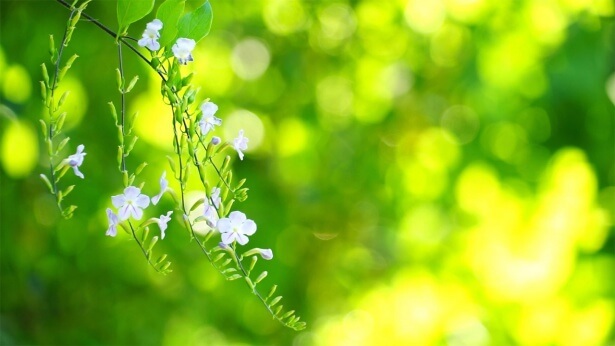 Just what is it that I should do?” Thereupon, I silently prayed to God in my heart, “God! The people and situations that I encounter each and every day have all been arranged by You. It is all according to Your will. I have something to learn, it is just that I do not know what I need to learn. Please guide me so that I can understand Your will. Amen!” I sought at the same time that I reflected. At this moment, I thought of the words “selfish and despicable.” Then, I read God’s words: “If a person lacks conscience and does not have the reason of normal humanity, then what kind of person is he? Generally speaking, he is a person without humanity, a person of bad humanity. If we speak specifically, how does this person manifest corrupt humanity such that people say he does not have humanity? Let’s analyze the characteristics of this kind of person. What kinds of characteristics do all such people have? What specific manifestations do they present? (Selfishness and baseness.) Selfishness is one type of manifestation, and baseness is another. Additionally, he is perfunctory in his actions, and stands aloof from things that don’t concern him personally. He does not consider the interests of God’s house and does not show consideration for God’s intention. He takes on no burden of testifying of God or performing his duty and has no sense of responsibility. What is it that he thinks about? His first consideration is, ‘Will God know if I do this? Is it visible to other people? If other people don’t see that I do this, that I expend all this effort and behave truly, and if God also does not see it, then there is no use for my expending such effort or suffering for this.’ Is this not selfishness? At the same time, it is also a very base sort of intent. When he thinks and acts in this way, is conscience playing any role? Is there any part of conscience in this?” (“You Can Obtain Truth After Turning Your True Heart Over to God” in Records of Christ’s Talks). After I finished reading this passage of God’s words, I felt pained in my heart. What God’s words revealed was my true state. When I thought of how Sister Zhang said that she felt constrained, I became afraid of offending her. Even though I could see quite clearly the issues that were present with her work, I was not willing to directly talk about them because I was afraid that she would become prejudiced toward me. When Sister Li asked me to inspect Sister Zhang’s work by myself, the first thing that I considered was my own interests. Since I did not quite understand some issues, I had to spend some time to contemplate the relevant principles. Most importantly, I was worried that I would spend so much time helping Sister Zhang with my inspection, yet she might not be willing to accept my suggestions. Wouldn’t I have wasted a lot of effort for nothing? When I thought about how I was trying to defend the good image of myself in Sister Zhang’s mind, it occurred to me that my attitude of evading the responsibility of my duties could be summed up in the following satanic poisons: “Everyone for himself and the devil take the hindmost.” “Be worldly-wise for the sake of personal survival and seek only to escape blame.” “The less trouble the better.” “Let go of things if they do not affect one personally.” I realized that what these thoughts revealed was treachery and suspicion. I was trying to protect my position and image in the mind of someone else. Even though I had assumed the responsibility of such an important task, I did not take sides with God. I was not considerate of God’s will and I was not protecting the interests of God’s family. When I encountered a crucial moment, I only thought about myself. I could see that I was very selfish and despicable by nature and that my thoughts and ideas hurt God and caused God to loathe me. Truly, I do not have humanity! Afterward, I read another passage of God’s words: “How you treat God’s commission is a very serious matter! If you cannot complete what God entrusts to you, you are not fit to live in God’s presence and should be punished. It is Heaven’s law and earth’s principle for man to complete what God entrusts to him; this is man’s highest responsibility, as important as his life. If you do not take God’s commission seriously, then you are betraying God in the most serious way; this is more grievous than Judas and is deserving of cursing. So, God commissions man: This is an exaltation and special favor from God, a most glorious thing. Everything else can be abandoned—even if one has to sacrifice his life he must still fulfill God’s commission. There is even more truth to be sought here” (“How to Know Man’s Nature” in Records of Christ’s Talks). From God’s words, I could feel God’s righteous and majestic disposition that could not be offended. I reflected on myself and realized that when my individual interests clashed with the church’s interests, the majority of the time, I relied on my corrupt disposition of selfishness and despicableness to do things and abided by the principle of protecting my own interests. From God’s harsh words, I could see that if I irreverently approached the fulfillment of my duties, it is possible that I could bring loss to the church and disturb the work of God’s family. In the long run, this kind of transgression could bring ruin upon myself and my punishment would be even more severe than Judas’. Today, after reading God’s words, I finally realized the seriousness of the issues I was facing. My heart could not help but revere God. As a result, I turned to God and prayed a prayer of repentance, “God! When I fulfill my duties, at all times, I am only thinking about my own interests. I am truly not worthy of Your exaltation. I really do not have a conscience and I am not rational. I should receive Your curse and judgment. I hope to true-heartedly repent to You. I hope to be considerate of Your will while I fulfill my duties so that I can repay the grace of Your salvation.” Afterward, I read another passage of God’s words: “When you reveal selfishness, you realize it and say, ‘I am selfish,’ and ponder, ‘How can I not be selfish? I’ll first set aside my own interests.’ As you set aside a little at a time, time and again, the more you set aside the more at ease you will feel inside, and the more you will feel that being such a person is something to be proud of, that so being is worthy of the word ‘person,’ that living this way on the earth is open and straightforward, that it is being a genuine person who lives worthy of the life which God has given him and of all the things bestowed by God. The more you live like this the more your heart will be at ease and filled with light. This is getting onto the right track, isn’t it?” (“You Can Obtain Truth After Turning Your True Heart Over to God” in Records of Christ’s Talks). In a sermon, it says: “The fourth expression of dispositional change is having a conscience, having sense, and being kind-hearted, and becoming an honest person. To have conscience and sense means a person is enjoying God’s grace and knows to repay God’s love. 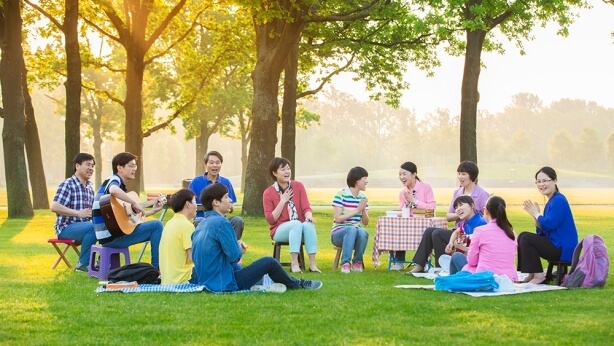 They can fulfill their duty of a created being through believing in God because they have an understanding of God, they are kind-hearted, and have become an honest person” (“The Truth One Must Enter Into to Achieve Dispositional Change and Expressions of Dispositional Change” in Sermons and Fellowship on Entry Into Life (IV)). God’s words and the sermon helped me understand that living out a normal humanity involves putting the truth into action and doing things according to one’s conscience while fulfilling one’s duties. When one reveals a corrupt disposition of selfishness, one must consciously abandon or let go of his own interests, learn how to live in accordance with God’s words and prioritize protecting the interests of God’s family. Such people are those with a conscience and rationality. Even though I was quite far off from meeting the standards of living out a normal humanity, I was willing to forsake my flesh and abandon my own interests in order to practice entering into this aspect of the truth. If I highlighted the issues that I discovered while I was working so that everybody could seek the truth together in order to resolve them, this was the equivalent of protecting the church’s work. If I shared the light that I had received from God with my brothers and sisters, they could benefit and God’s heart would be comforted. This is a meaningful matter and this is a good deed! After I understood God’s will, my heart felt a lot more liberated. I was determined to forsake my flesh and fulfill this duty properly. After I prayed, I continued to inspect the remainder of Sister Zhang’s work. During this process, I found that there were still some existing difficulties. However, by relying on God, looking to God and pondering the relevant principles of the truth, I was able to resolve the problems that I previously did not understand. Under the guidance of the Holy Spirit, I finally finished my inspection. Even though this delayed the work for a period of time, I felt steady and at peace in my spirit because I had renounced my individual interests and protected the interests of God’s family. The second day, when we talked about the work, all of us felt that the results achieved this time were much better than before this inspection. We all felt that these results were attained through the Holy Spirit’s work. From this experience, I somewhat understood the truth of what it means to live out a normal humanity and I could see that God is particularly trustworthy. As long as we did things according to God’s words, God would enlighten, illuminate, guide and bless us. From then on, I was willing to reflect more on my corrupt impurities while fulfilling my duties, learn how to seek the truth in order to resolve my own corrupt disposition and try to focus on putting the truth into practice in all things and prioritizing the interests of God’s family. Afterward, I devoted myself to the fulfillment of my duties with great faith and my work started to show some results. As my work load gradually increased, I became particularly busy each day. However, my brothers and sisters cooperated well with me. After experiencing a period of time like this, not only did I not feel tired, my heart felt enriched. It was as if I could engage in some honest work like an adult. Through fulfilling my duties, I also learned how to be considerate of God’s will. However, as the work results gradually improved, I could not help but live within self-satisfaction. I thought, “When the upper-level leaders see our work results, they will definitely praise me and say that I am capable of performing practical work.” When I thought of this, I was even more motivated to fulfill my duties. Just as I was basking in my feelings of pride, God’s judgment and chastisement once again befell me. It wasn’t until the work reports came out at the end of the month that I found out that I had only been able to accomplish one of the several tasks that I had been given adequately. This led to a serious decrease in the quality of the final project results. I did not do as good of a job as I had imagined I did. I never thought even though all along I felt that I was taking on a lot of responsibility, in fact, in terms of practical results, the duties that I fulfilled were not worthy of God’s blessings. Within this issue, there was definitely something that I could learn. Could it be that there were aspects of my service that were not in accordance with God’s will? For a moment, I did not know which aspect I should conduct a self-examination on. During my seeking, I read a passage of God’s words: “How great a role his conscience can have when he does not understand truth depends on what his humanity is like. If this person does things without understanding truth but does not act according to conscience so that you can’t see any area in which what he does shows consideration for God’s intention nor can you see any reverence for God in him—if you can’t see these, then does this person have a conscience? This person is not a person with a conscience. Does such a person have humanity? (No.) Then what kind of person is this? The standard saying and precise definition is that this kind of person does not have humanity and has fallen below the minimum standard of humankind. He has no conscience, and he does things neither according to reason nor according to conscience” (“You Can Obtain Truth After Turning Your True Heart Over to God” in Records of Christ’s Talks). In a sermon, it says: “What were the manifestations that indicate that David loved God? What indicates his love for God? His greatest objective was to build a temple for God so that the Israelite people could come before God. This was the manifestation that showed that he indeed loved God. … Isn’t this an example of devotion, being considerate of God’s will, reverence and fear? Which aspect of God’s will was David considerate of? In the wilderness, the Israelites had no place to worship God. David wanted to build a temple so that his people could worship God there, and he strived to achieve it. … Was there a difference with the common people? (Yes.) Where is the difference? How many aspects are there that differ? (This is similar to the topic that we just discussed. There are some people who only care about themselves. They do not care about God or the work of the church. What they defend are their own interests. They do not defend God’s interests or the interests of God’s family. This is the biggest difference.) (Our faith in God is for ourselves. However, David’s faith was not for himself. His faith was for the consideration of God’s will.) The crucial point is to see how David treated God. Would you say that the attitude with which David treated the common people was related to his attitude toward God?” (“The Principles and Standards of Weighing Humanity” in The Fellowship From the Above). From God’s words and the sermon we can see that fulfilling one’s duties should not be done for one’s individual benefit. Instead, one should focus on being considerate of God’s will and should suffer and pay a price in order to satisfy God. These are the things that someone with a normal humanity does. When I reflected back to the way I was fulfilling my duties and how I only wanted to improve the work results so that the upper-level leaders and my brothers and sisters would see that I was capable of handling practical work, I could see that underneath my facade of suffering and paying a price through the fulfillment of my duties, I still had my own deliberations and objectives in mind. I was doing all this so that others would praise me. I wanted others to think highly of me. I wanted them to say good things about me whenever they thought of me. This way, no matter what kind of suffering I went through, I would feel that it was worth it. When I was fulfilling duties, I was focused on improving my own reputation. I did not realize that only if each of us shoulders a true burden for our duties, only if our hearts are turned to God, the path we are walking was correct and our deliberations were correct, would we receive God’s guidance and blessings and would the results of our duties improve as a whole. However, I was only focused on the results that were before my own eyes and I became self-satisfied and self-congratulatory. If I fulfilled my duties in this manner, how could I do it for long and how could it produce real results? As for how David lived out his humanity, he used a life time’s worth of painstaking effort to build a temple so that the Israelites would worship God even better and David did this with no demands or expectations of reward. This caused me to see that the way I was living out my own humanity was lacking too much. Through the fulfillment of my duties, I was still living by the satanic nature of selfishness and despicableness. I basically was not considerate of God’s will and I was not doing things for God. I was struggling for my own individual benefit. This caused God to loathe me and convict me. At this moment, I could see clearly that even though I was very industrious in regard to fulfilling my duties, because my selfish nature had not been thoroughly resolved, there were many corrupt impurities with the fulfillment of my duties. I was not fulfilling my duties in order to obtain the truth and satisfy God. My suffering and paying a price was basically just exerting myself and doing manual labor. Even though my duties were completed, I did not understand much of the truth. Even if I worked harder, I would still not satisfy God’s will. I truly felt unworthy of God entrusting me with these tasks. At the same time, I learned that I was corrupted deeply by Satan and my selfish and despicable nature was deeply rooted. If I did not experience even more of God’s judgment, chastisement, trials and refinement, I would not be able to experience true change and live out the likeness of a genuine human being! Later, I read another passage of God’s words: “How does one act according to conscience? The particulars of following conscience are that when a person acts, he must do so relying on a true heart and live up to God’s having given this life and opportunity for obtaining salvation. Is this not the function of conscience? Once you have this most basic foundation you will have obtained protection, and won’t you then not so easily do things to disobey God…. Then you will not so easily just go through the motions or be perfunctory, and you will not so easily fall to scheming for your own position, fame, gain, and future—this is the role of conscience. The most basic and important components of one’s humanity are conscience and reason” (“You Can Obtain Truth After Turning Your True Heart Over to God” in Records of Christ’s Talks). “So what are the standards that God requires for how people conduct themselves? (Be honest.) Be honest—what else? (Pursue the truth.) Anything else? (Possess insight and rationality.) (Have humanity, character, and dignity.) Have character, have dignity, have a conscience, be rational, have a heart that is obedient to God and loves God—what else? (Revere God.) Yes, what God wants ultimately is that people revere Him; that’s what’s most important. What do all these things that people are capable of achieving relate to? (The truth.) They all relate to the truth. When people try and put them into practice, if they are able to achieve them, then what kind of person are they? (A real person.) … In God’s eyes, real people are those who possess the reality of the truth. God defines the standards for real people as follows: In addition to walking in the way of God—fearing God and shunning evil—they are those who have normal humanity, which means possessing the truth and entering the reality of the truth” (“Only With the Truth as Their Life Can People Live a Life of Value” in Records of Christ’s Talks). After reading God’s words, I discovered that in the past, my understanding of the aspect of the truth involving normal humanity was too one-sided. I believed that as long as I was able to get along well with other people, it meant that my humanity was good. 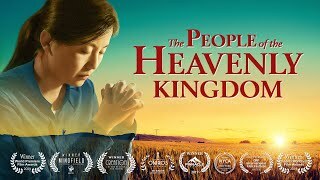 Only after going through this instance of judgment and chastisement and reading God’s words did I understand that those who have a normal humanity, through the fulfillment of their duties, are able to be considerate of God’s will, be anxious about what God is anxious about and think about what God is thinking. They fulfill the duties they need to fulfill and they do so without heeding their individual reasons and conditions. They only want to satisfy God and fulfill the duties of one of God’s creations. God’s words really motivated me. Even though presently, every aspect of my corrupt disposition is deeply rooted and I am far off from the normal humanity that God demands, I am willing to focus on my own life entry each day as I fulfill my duties. I am willing to maintain a heart that reveres God in all matters and I am willing to seek God’s will and the principles of the truth. I am also willing to rank putting the truth into practice during the fulfillment of my duties as my number one priority. Only through focusing on putting the truth into practice will I be able to thoroughly break away from the control and bindings of my corrupt nature. In this way, the positive things in my heart will multiply, I will receive more opportunities to obtain the Holy Spirit’s work and I will have a path to live out the reality of the truth. As a result, I shared what I had acquired with my brothers and sisters. They all approved of what I had learned. 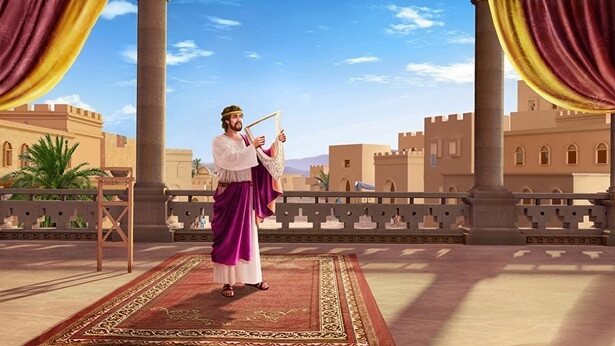 Afterward, as we fulfilled our duties, we practiced accepting God’s observation in all matters, accepting God’s judgment and chastisement and abandoning our individual interests in order to satisfy God. We learned to seek God’s will in all things, seek the principles of the truth, execute in accordance with the truth, focus on seeking the truth in order to resolve the corruption that we reveal and no longer rely on our corrupt dispositions to do things. … When I stopped focusing on the so-called “results” and instead started focusing on putting the truth into practice, I never thought that the results of my duties would improve. From this, I could see the vivid and realistic nature of God’s disposition. God is at our side. Each day, He has arranged our environment so that we would seek His will and enter into the reality of the truth. God’s love is truly real! Through seeking and pondering the aspect of the truth related to normal humanity, I gained a proper objective to pursue. 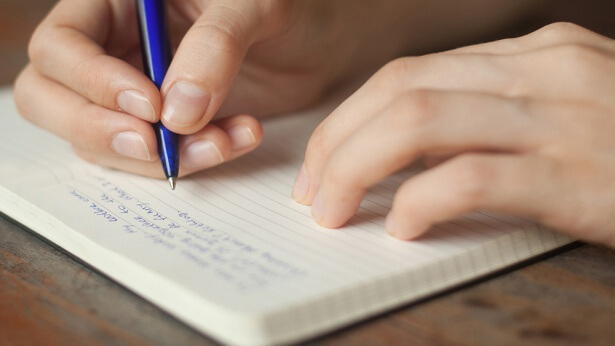 Each day, as I fulfill my duties, I focus on putting the truth into practice. I no longer rely on my own corrupt disposition to do things. I make a great effort to “uphold my duty with all my heart and mind.” When I do this, my heart feels at peace and stable and my spiritual state is much improved when compared to before. Gradually, as I do things, I become principled. This has allowed me to appreciate deeply that only God’s judgment and chastisement can restore man’s insight, rationality and conscience. It has caused someone like me who has been corrupted deeply by Satan to understand how one should live out the likeness of a genuine human being. It is just as God said: “It is not the case that people become someone who has the truth as soon as they start doing their duty. Doing one’s duty is no more than one method and one channel to take. In the doing of their duties, people use these opportunities to gradually attain an understanding of the truth, an acceptance of the truth and gradually enter into the truth. They then reach a state whereby they get rid of the bonds and control of the corrupt disposition of Satan, and so they become someone who has the truth, someone who has the reality of the truth and they become someone with a normal humanity. Once people become someone with normal humanity, then the performing of their duties, their speaking and acting can be of benefit to others and can satisfy God. Only then can they become standard created beings; only then can they become the standard and qualified mankind created by God” (“To Attain the Truth, You Must Learn From the People, Matters, and Things Around You” in Records of Christ’s Talks). Thanks for your listening. All the glory be to Almighty God! “For where your treasure is, there will your heart be also” (Matthew 6:21). “For what is a man profited, if he shall gain the whole world, and lose his own soul? or what shall a man give in exchange for his soul?” (Matthew 16:26). Having undergone this judgment and chastisement, Jiandan now had a direction in which to perform her duty. 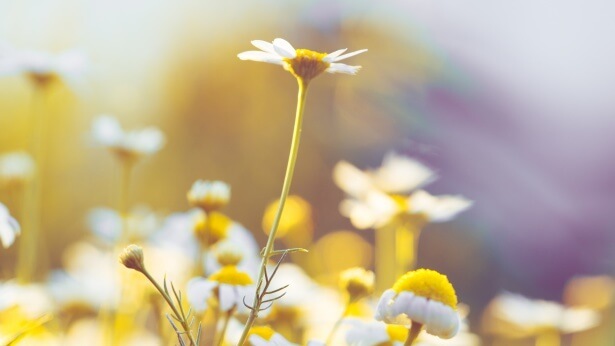 Whenever she came across a problem, she would purposefully look for the relevant principles and fellowship about them with the sisters so that they would enter into them together. Dear brothers and sisters, we all know that obeying God is required learning for every single Christian. So what people, things and events in real life can God use to guide us to learn the lesson of obedience? The article Sister Huawen will share today will inspire you and show you the way forward.